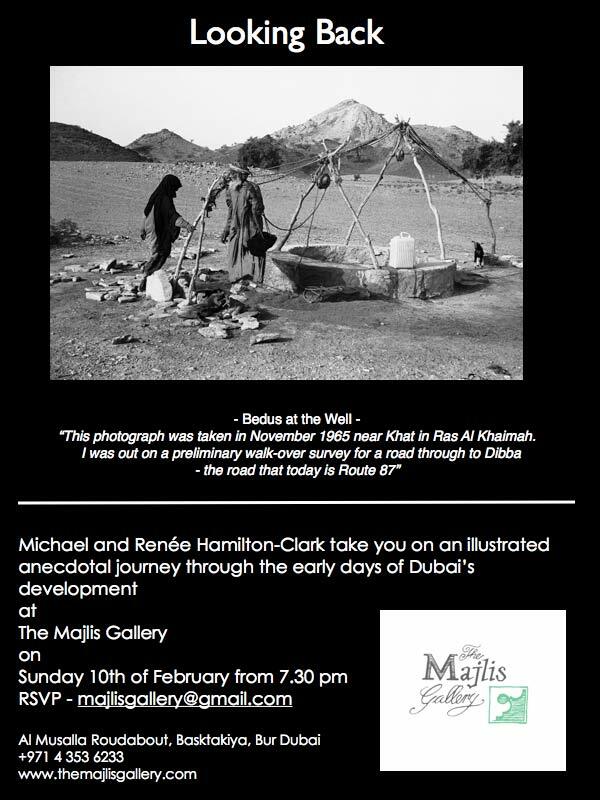 Looking Back - An illustrated Anecdotal Journey - Sunday 10th February at 7.30pm - The Majlis Gallery - Haven for Artists AND Art Lovers. 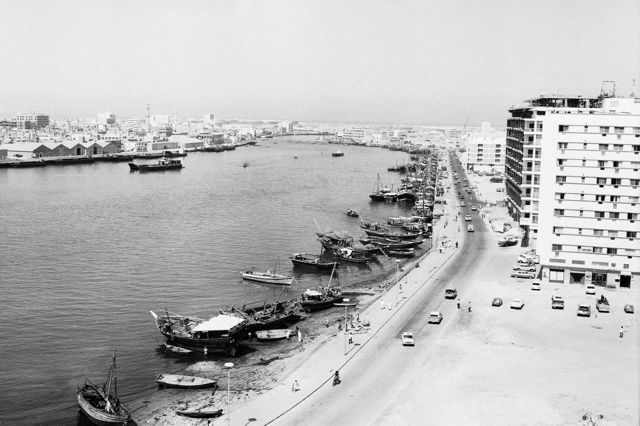 We arrived in Dubai in August 1965. Michael had come on an 18-month contract to be the site engineer on the initial Dubai-Sharjah Road. 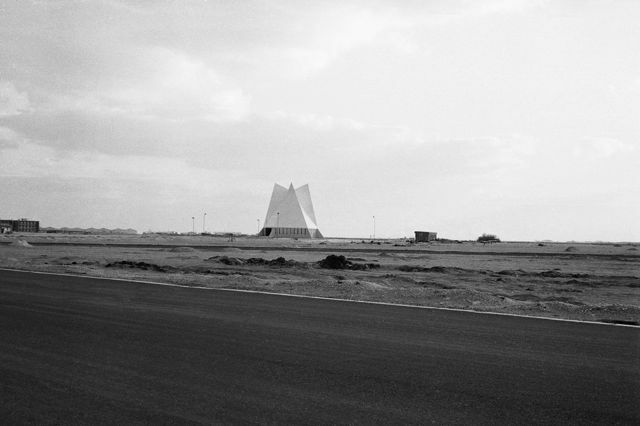 In fact we stayed on until May 1971, and our two boys were born here in 1966 and 1969 at the old Maktoum Hospital. Whilst Michael continued mainly with roadworks in Sharjah, Ajman and Umm al Qawain, Renée joined the newly-opened English Speaking School teaching French and Kindergarten. In 1969 she joined the American Community School that was then just getting started, multi-tasking as secretary to the Principal, French teacher for grades 3-6 and helping to set up and run the school library. By the time we left, the winds of change had definitely started to blow and H.H. Sheikh Rashid’s vision was taking shape – oil was being exported, the World Trade Centre building was already an icon, port expansion was under way and the new airport terminal had been completed. With our eldest son working here since 1997, we have been able to visit regularly, thus continuing our acquaintance with a corner of the World we have appreciated and loved right from the start. It is said that once you have had the sands of Arabia between your toes, you continue to feel them forever………. The full collection of photographs is available for viewing at The Majlis Gallery. Prints are available to order in three sizes. There is a minimum order value of 160 AED. 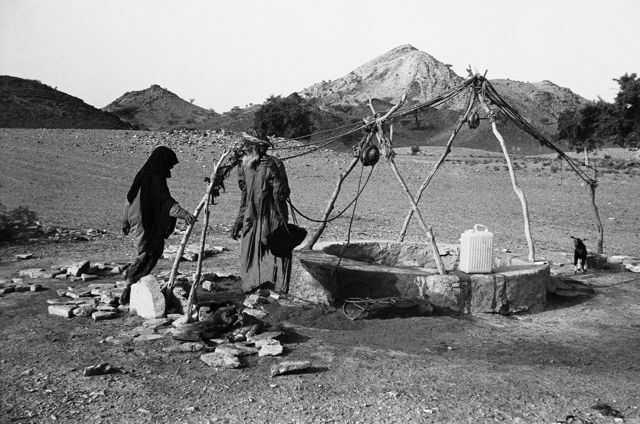 1965 – Bedus at Well. 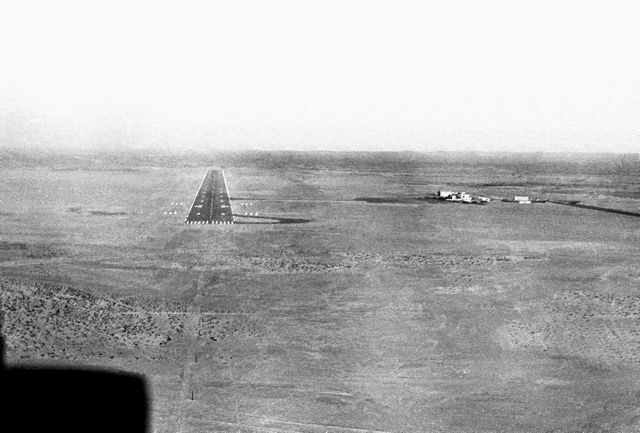 1965 – Aerial of Aproach 30 Runway Dubai. 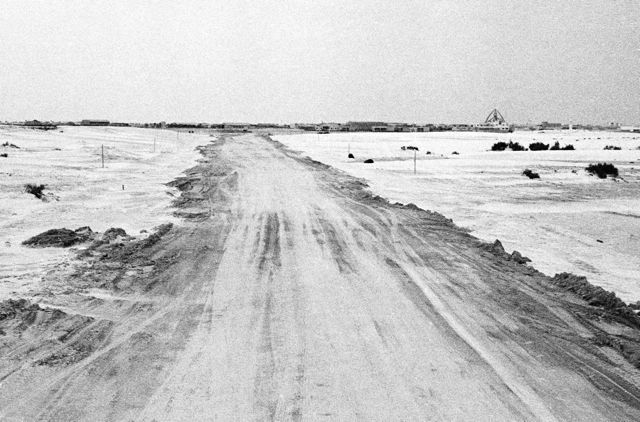 1966 – Start of D-S Road – Clock Tower on horizon. 1970- Holy Trinity Church soon after completion. 1970- From Carlton roof towards Creek entrance.